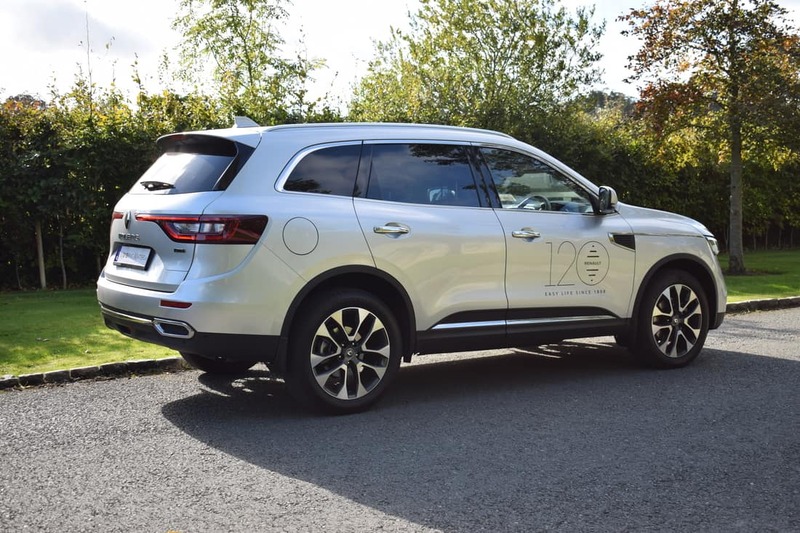 After the success with both the Captur and Kadjar SUV’s, Renault has now introduced its largest crossover yet, the second generation Koleos. Renault stopped production of the first-generation Koleos back in 2010, blaming poor sales for its rapid demise. However, since then, the SUV market has grown rapidly, partly at the expense of MPV’s. 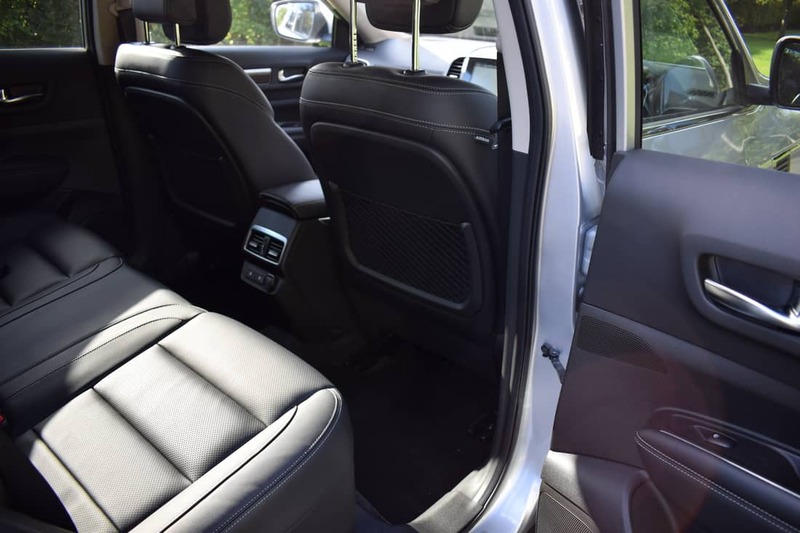 The new Koleos has a stylish exterior and a spacious cabin, but the lack of a seven-seat option may make it unattractive to some buyers who desire the practicality of an MPV in an SUV style. 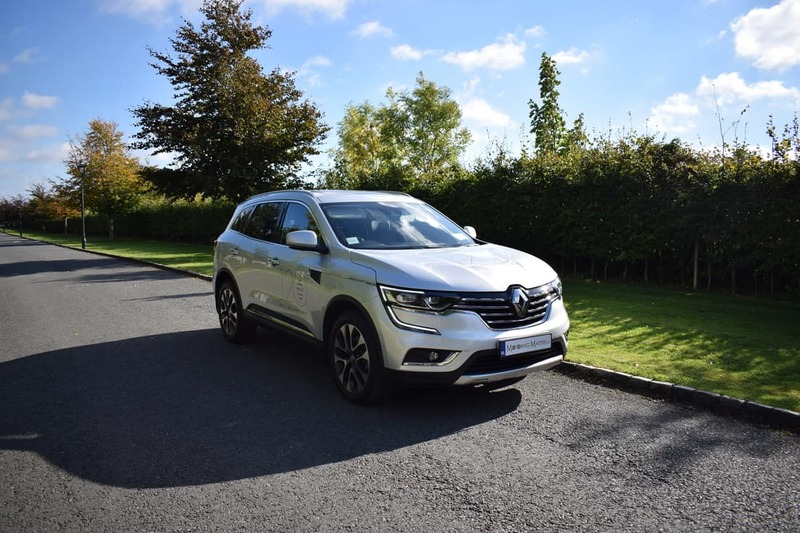 The Koleos has a more dominating stance than the smaller SUV’s in the Renault range and due to its Nissan X-Trail underpinnings, this SUV is more than capable off-road. The Koleos comes in two trim levels – ‘Dynamique S Nav’ and ‘Signature Nav’ with an option of 130bhp or 175bhp turbo-diesel engines in 6-speed manual guise, or just the 175bhp engine with Renault’s 7-speed CVT automatic gearbox and 4WD. Most drivers will be satisfied with the performance offered by the front-wheel-drive 1.6-litre turbo-diesel engine, which produces 130bhp, but the 2.0-litre turbo-diesel engine with 175bhp and 380Nm of torque will not disappoint. This high torque figure means that the 2.0-litre Koleos is a strong performer, picking up pace readily, but with refinement, too. The 0-100km/h sprint can be completed in just 9.5 seconds on the way to a top speed of 201km/h (where permitted). My test car was the ‘Signature Nav’ dCi 175 CVT 4WD – finished in Stingray Silver metallic paintwork – which had an impressive amount of standard equipment, including; GALIKI 19” two-tone alloy wheels, full LED ‘Pure Vision’ headlights, carbon black leather seating with front seat heaters, powered automatic tailgate, an 8.7-inch touchscreen R-Link 2 multimedia system, cruise control with speed limiter, lane departure warning, advanced emergency braking system, ESP, hill start assist, over-speed prevention with traffic sign recognition, automatic headlights and wipers, blind spot warning, rear parking camera with front & rear parking sensors, longitudinal roof bars, opening panoramic roof, electrically adjustable door mirrors (also heated and power-folding), automatic dual-zone climate control, hands free keycard, TomTom™ LIVE services with European mapping, Bluetooth with voice control, DAB radio, USB & AUX sockets, Android Auto™ & Apple CarPlay™, Eco-Mode selector, Arkamys sound system with 4x35W speakers and many other convenience, comfort and safety features. 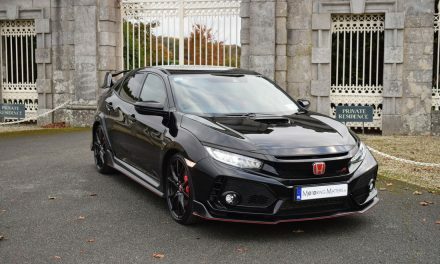 The only option fitted to my test car was metallic paint at a cost of €575. Renault claim fuel consumption as low as 5.9l/100km on a combined driving cycle for my test car, while CO2 emissions of 156g/km leads to annual road tax of €570. 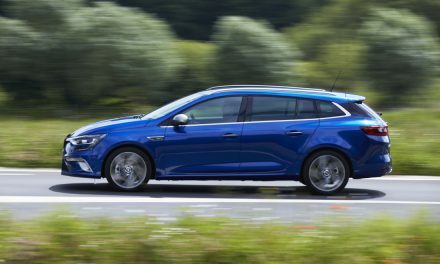 However, annual road tax for the manual models will be either €270 or €390 depending on the model chosen. The new Koleos is a solid vehicle which oozes top-notch build quality throughout. 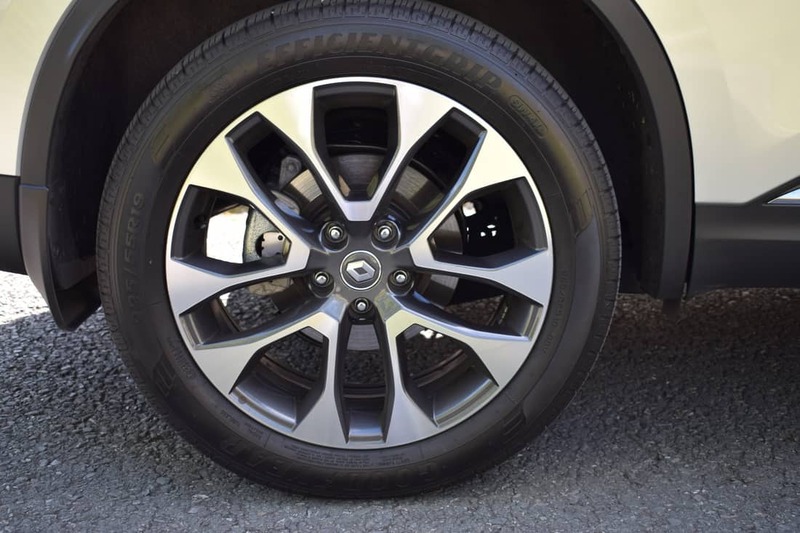 Renault’s engineers have produced a car that steers well, with neat and direct responses to inputs from the wheel. I was impressed with the body control in corners, as there wasn’t too much of the roll, which can be evident in this type of car. 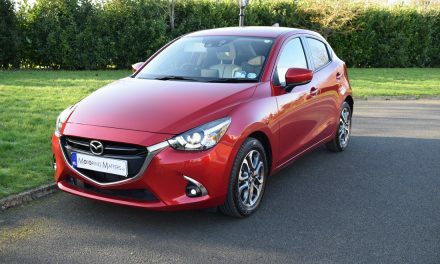 It’s comfortable on fast, smooth roads as a result, leading to excellent driving dynamics and confident handling characteristics. 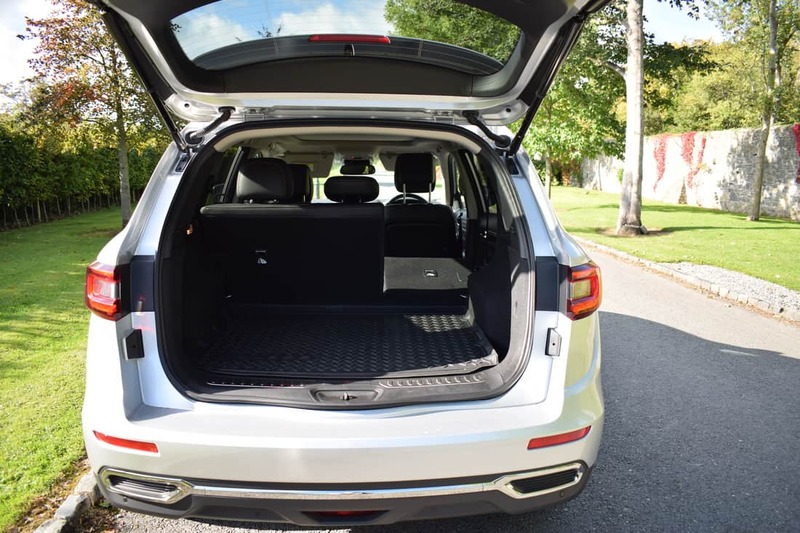 The new Koleos is spacious thanks to a wheelbase of 2705mm, which is identical to the Nissan X-Trail, and allows for excellent rear leg and headroom. The boot is an impressive 458-litres with the rear seats in place, and a massive 1,690-litres with the rear seats folded. 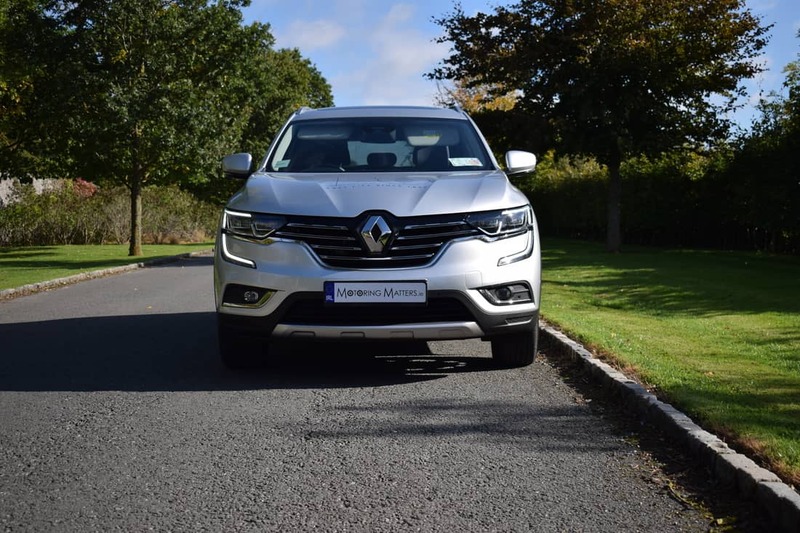 Ex-works prices for the new Renault Koleos start at €34,490 for the entry-level model, while my test car is priced at €46,790. Renault’s 5-year /200,000km warranty is standard on all models. 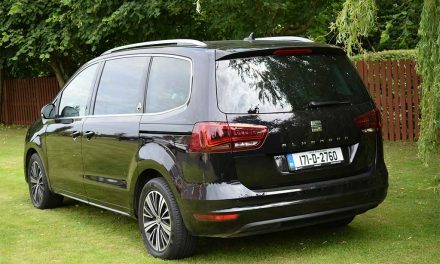 The Koleos is a very likeable car and is definitely worth consideration for those looking for a large 5-seat SUV. 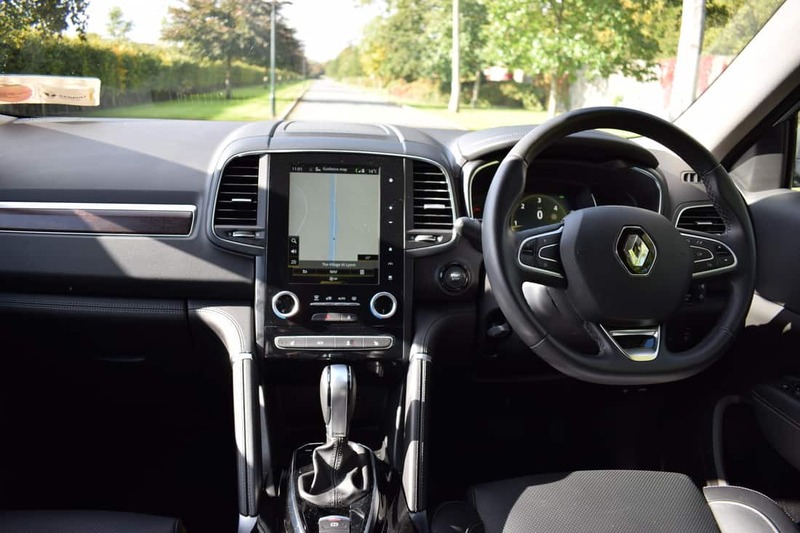 With a distinctive contemporary design, excellent build quality and high specification levels, the Renault Koleos is, quite possibly, all the car you could ever need. Visit www.renault.ie for further information. NextFord Mondeo Vignale Hybrid (HEV) Review 2018.